A few months back, I shared with you how I got rid of my acne which I had for over 10 years. My skin is generally performing alright nowadays and I haven’t been constantly breaking out all over the face anymore. However, I still get one or two pimples quite often, especially around the time of months. I can normally take control of these rather quickly. 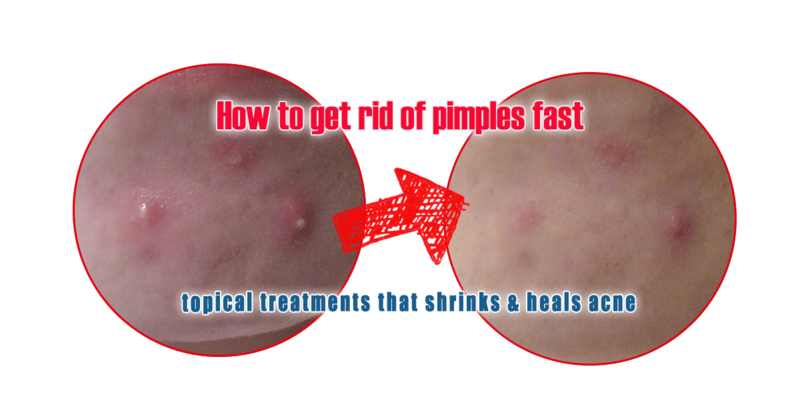 Today, I’ll share with you how I get pimples under control within a day or two, especially those extremely angry ones. 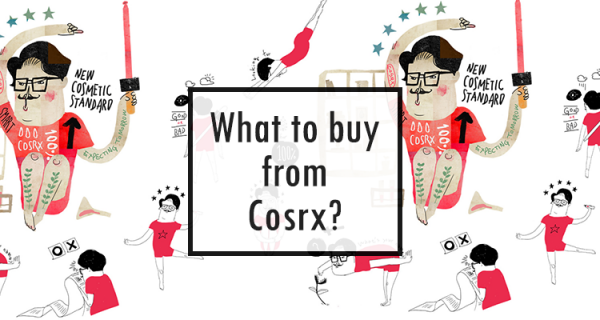 I’ve shared pimple patches with you many times (Cosrx, A’pieu). 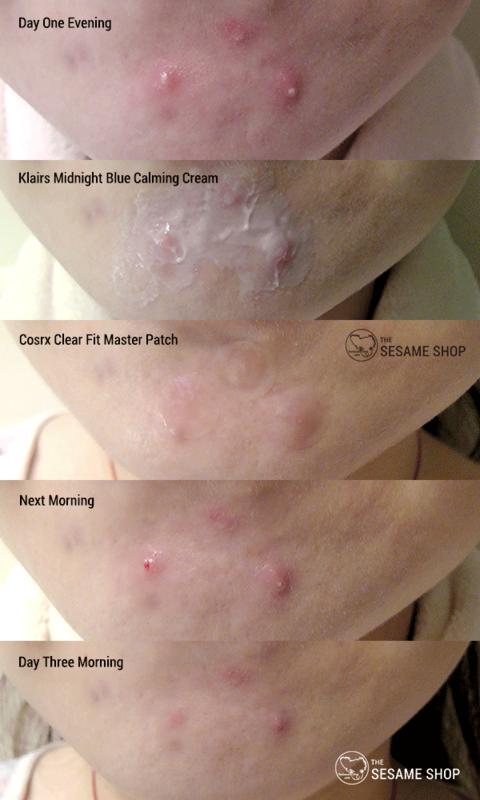 These patches are great at isolating the pimples so that the bacteria dies off and the pimples heal much quicker. They also keep pimples away from the external environment and prevent further bacterial infection. They often contain soothing agents and antibacterial extracts that reduce the inflammation and kill the bacteria. There are quite a number of pimple patches in the market. 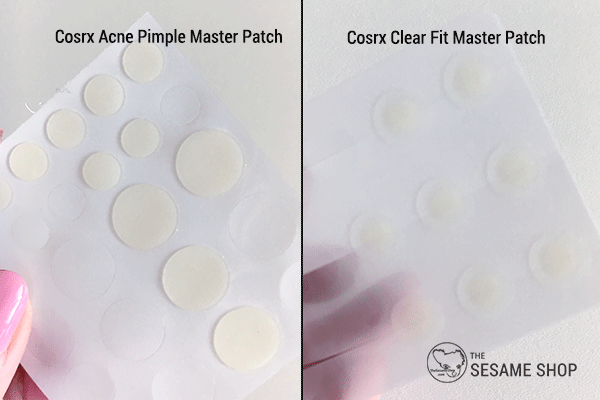 My favourite is the Cosrx Clear Fit Master Patch. 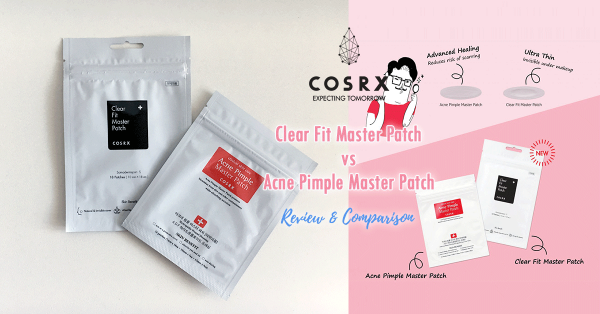 I did a review comparing the Coxrx Acne Pimple Master Patch (red one) and the Clear Fit Master Patch (black one) if you’re not sure which to choose. 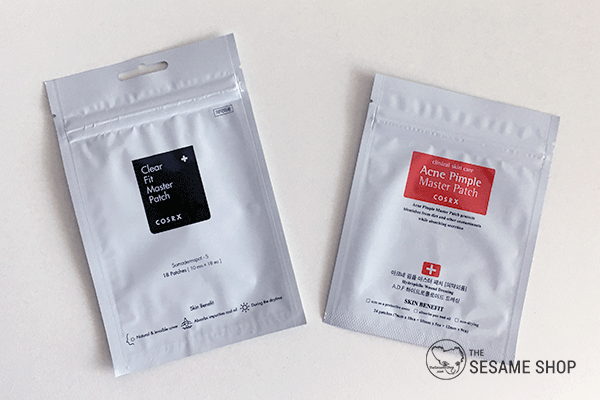 I personally love the thinner Clear Fit Master Patch because I find it sticks better to the skin and appears less prominent. The best time to use these pimple patches is after you’ve squeezed it. (You know shouldn’t but you always do). I find it working not as effective when the pimple is still hard and hasn’t come to its head. But once the pimple has come to its head – when you can see the white stuff – the patch works extremely well at clearing it overnight. In the morning, you’ll see the patch has become white and your wound is healed. This is something that’s often overlooked. When you have a pimple, it’s intuitive to try every method to get rid of it, which often involves touching, squeezing and harsh chemicals and will in turn irritate and aggravate it. You end up with inflamed red bumps that screams to everyone that you’re breaking out. When the pimple is still deep under the skin, it’s best to soothe it so that only you know it is popping up. 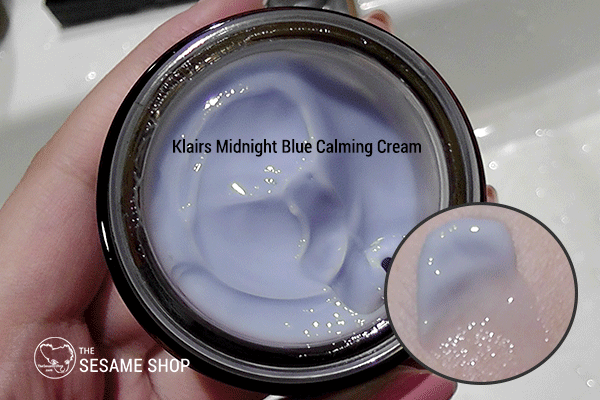 Two products I regularly use to calm and soothe the pimples are the Manyo Factory Blemish Lab Proxyl Gel and the Klairs Midnight Blue Calming Cream. Both of these products are great at reducing inflammation and physically reducing the size of those angry, red, deep-rooted pimples. They also expedite the healing process of the pimples. I like to apply a thick layer of the treatment and let it sit for a few minutes before dabbing it in so that the ingredients can be absorbed and work their magic. A common ingredient in both of these is Centella Asiatica Extract. 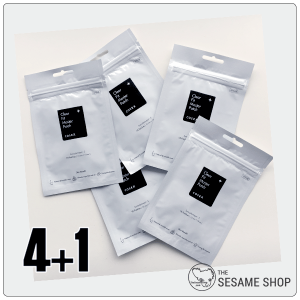 Centella Asiatica Extract has been a major player in acne treatments in recent years due to its superb healing and soothing properties. Cosrx has a full range of products using this ingredient, including the Centella Centella Water Alcohol Free Toner, the Blemish Ampule and the Blemish Cream. Another ingredient that has done wonders for healing my acne is Calendula. The healing property of the Natural Pacific Fresh Herb Calendula Tincture Toner is truly amazing and it has been my favourite skincare find for 2018. 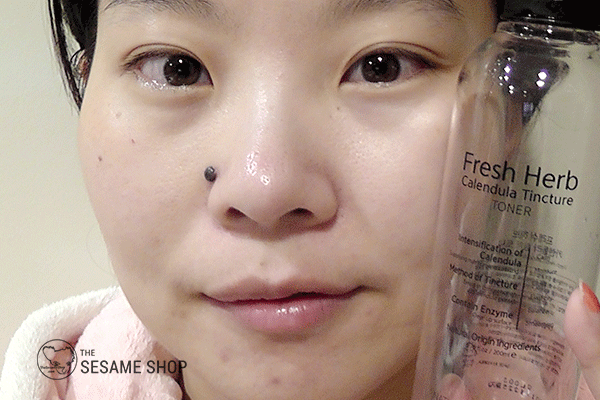 I always go back to the toner wash method when I can sense more than one pimple is appearing under the skin. This method is extremely effective at strengthening the skin barrier and expedite the healing process of acne. In fact, my acne was healing so quick that I didn’t notice them appearing until they are almost gone. Comparing to the soothing gel and creams mentioned above, the toner wash method is more expensive and time consuming, but I highly recommend it if you have stubborn breakouts that keeps coming back in clusters. The pink powder is actually Calamine which is a combination of Zinc Oxide and Iron Oxide. Along with Alcohol, the pink powder is effective at drying out pimples so they do not develop in size or swell up. 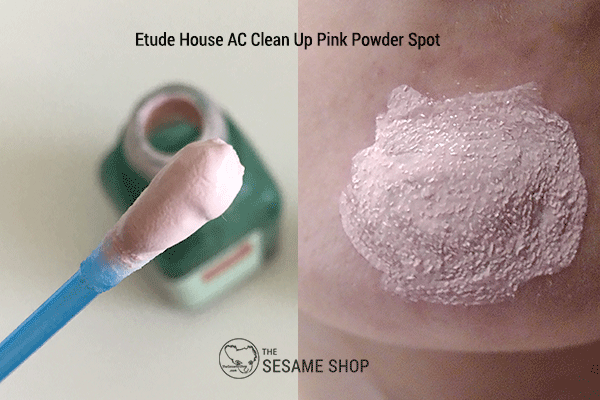 The AC Clean Up Pink Powder Spot from Etude House is my favourite pink powder treatment. It is affordable and does the job. To use it, you insert a cotton swab through the liquid and all the way to the bottom of the bottle where the pink powder is and apply the pink powder on the pimple. Make sure you do not shake the bottle so that the pink powder remains concentrated at the bottom for you to pick up. This treatment is great for pimples that stays deep and don’t develop into heads. 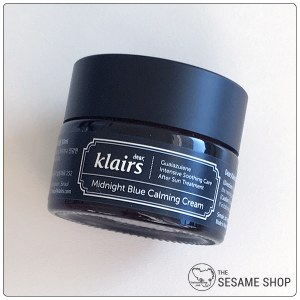 For pimples that already come to head, the Cosrx pimple patches and Klairs Midnight Blue Calming Cream work a lot better at eliminating them fast. 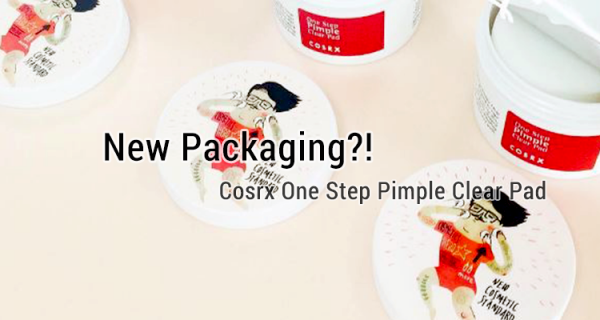 Cosrx One Step Pimple Clear Pad New Packaging?! This entry was posted in Skincare and tagged acne, Cosrx, Etude House, Klairs, manyo factory, Natural Pacific.